The Grenfell Tower fire in June 2017 was arguably one of the greatest tragedies to befall the British working class this century. Grenfell Tower momentarily stripped capitalism of its disguises, leaving it naked and exposed for the world to see. The Grenfell Tower fire on June 14, 2017 was arguably one of the greatest tragedies to befall the British working class this century. The fire, which killed 71 people threw into the national spotlight, albeit for a few short weeks, capitalism’s callous disregard for human life. Grenfell Tower momentarily stripped capitalism of its disguises, leaving it naked and exposed for the world to see. And then, it seems, most people just forgot about Grenfell. Capitalism pulled its clothes back on and “normal” British life continued… except, of course, for the community torn apart by the fire. What happened in Grenfell Tower was a multifaceted tragedy which should never be forgotten. 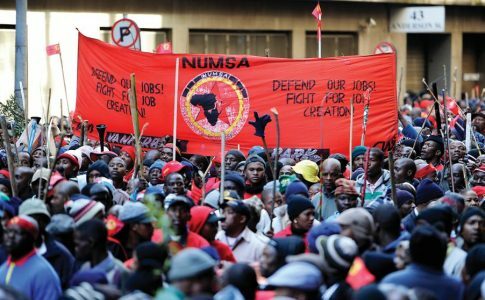 So how has it disappeared from the national consciousness so quickly? Grenfell Tower was a block of public housing apartments in North Kensington, a working class area of the Royal Borough of Kensington & Chelsea (RBKC), West London. The majority of the 127 flats in the tower were council flats (1), owned and managed by the Kensington and Chelsea Tenant Management Organization (KCTMO). There were, however, a few privately-rented flats. Grenfell Tower housed a diverse range of residents, including a number of immigrant families. The fire itself began on the fourth floor (out of 24 floors) in the early hours of Wednesday June 14. Within half an hour, the fire was out of control, due to the flammable exterior cladding of the tower. 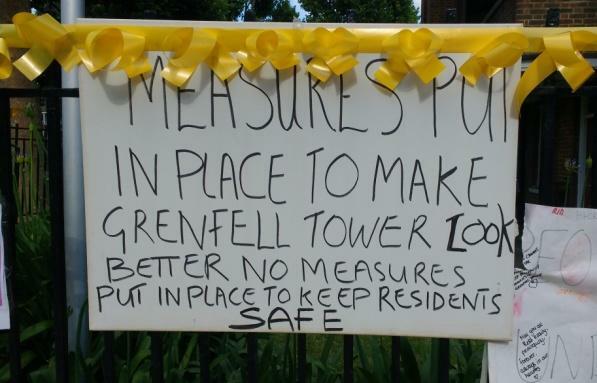 Grenfell Tower used a ‘stay-put’ policy for residents, meaning that people were instructed to remain where they were unless the fire was in or affecting their flat. For this reason, many people made no attempt to escape. Once this advice was officially changed at around 4am, residents living above the fourth floor struggled to escape the building via the tower’s single central staircase. Many were overcome by smoke inhalation as well as the cyanide fumes from the burning plastic cladding, and died on the stairs. Even more died in their flats, waiting for a rescue that came too late for them. At least four people jumped to their deaths. As the fire made its way up the tower, the community of the Lancaster West Estate watched in agony as their friends, family and neighbors perished in the flames. To quote the poem Unforgivable by ‘J.D.’, which appeared on posters in the streets around the tower in the days afterwards: “The screams get louder, the flames get worse; feeling so helpless, as our insides burst”. But the 71 deaths and enormous psychological injury to survivors and the community are not the only aspects that make Grenfell Tower such a deep and devastating tragedy. 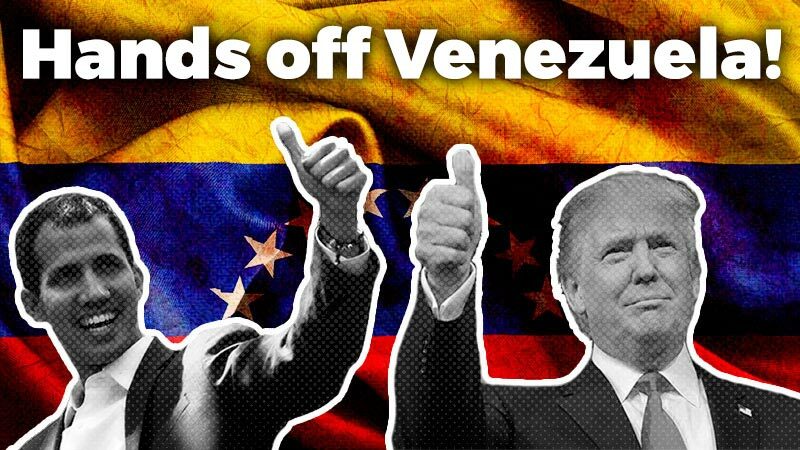 In order to understand why it has become such a symbol of a failed economic model, and why this dramatic proof of capitalism’s inhumanity has slipped from our national consciousness, it is necessary to examine the background of the events. On a personal note, I was in London a fortnight after the Grenfell Tower fire. I decided to travel to North Kensington and see Grenfell Tower myself to pay respects. There are no words to describe the feeling as you round the bend on the overground Tube train and see the black shell of Grenfell Tower in person for the first time. The image hits you like a ton of bricks, burning this image into my consciousness for all time. It is unforgettable. The empty building, burnt to a crisp stands so, so black, with even blacker windows staring down at you. Wandering through the surrounding streets – past the seemingly endless yellow remembrance ribbons, through the enormous memorial zones where people had left messages on walls, reading the furious and poignant posters, becoming familiar with the names of victims who had risen to particular prominence (Jessica Urbano. Khadija Saye. Fatima Choucair.) 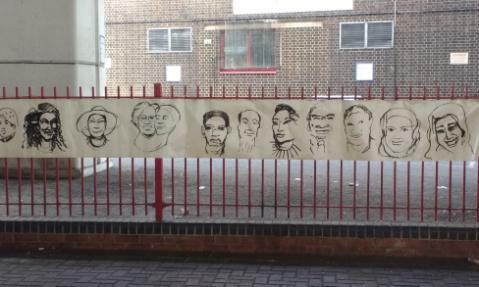 as their faces, smeared on underpass walls, stare at passersby. I felt the pain of a community for whom Grenfell Tower is not merely a one-off tragedy, but a dramatic expression of a much graver social problem, one which has plagued North Kensington for years. The Grenfell Tower case throws light on the institutional neglect inflicted upon the residents of North Kensington by the RBKC. The Conservative-dominated council, only focused on the demands of affluent South Kensington. They have shown this community nothing but indifference and callousness for years. The council, which seems to value ‘saving money’ through austerity despite having reserves of £247 million (2), has repeatedly eroded the community through ‘managed decline’. Furthermore, the proximity to an extremely affluent neighborhood in the south of the borough makes the working class north very valuable real estate. The only problem for property developers and profiteers is the people who live there. 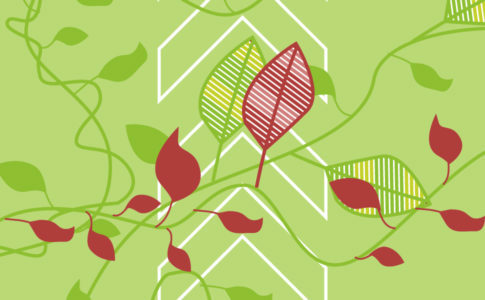 In the name of cost-cutting, the council has inflicted wound after wound on North Kensington, from closing down children’s centres to turning a blind eye to buildings which repeatedly failed fire safety tests; from promoting gentrification and ‘regeneration’ to failing to install sprinklers in Grenfell Tower during the 2016 refurbishment (3)(4). 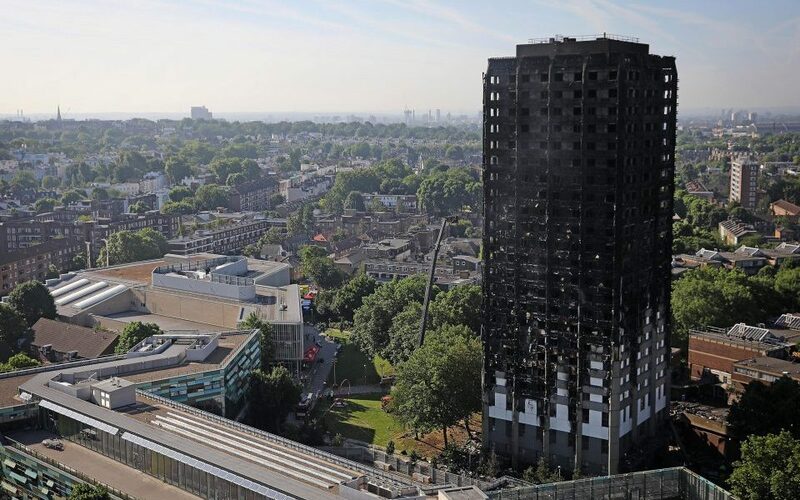 In particular, one of the major issues highlighted by the fire was the cheap flammable cladding, banned in the US and Germany and not recommended for buildings above 10m (5), wrapped around the 67m-tall tower. Apart from being a pointless “beautification” measure blatantly for the benefit of those who have to look at the tower rather than those living inside, the cladding added another level of tragedy: the council could have bought fire-resistant cladding from the same company for just £2 more per square meter (6). 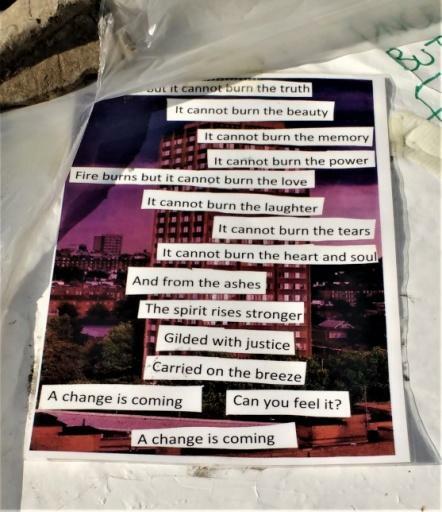 Most revealingly perhaps, the Grenfell Action Group – a team of tower residents determined to improve the situation for their neighborhood – repeatedly warned RBKC of the fire risk in the tower. They commented prophetically that only a deadly catastrophe would expose the council’s institutionalized neglect for ordinary working people in the borough. The council’s response? Threatening the residents with the full might of their legal team. 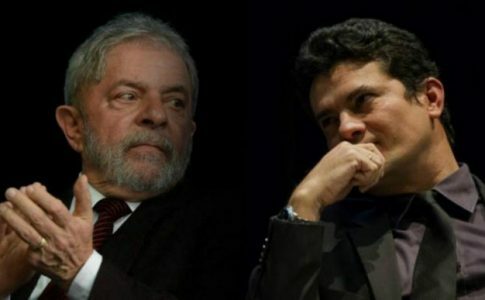 That’s not democracy; it’s not even good governance; it’s (to use Trotsky’s words) ‘the irresponsible despotism of the bureaucracy over the people’ (7). Grenfell Tower laid bare the moral bankruptcy of capitalism, especially its neoliberal breed. Despite a national and international outcry, the problems that triggered the fire in June 2017 remain. Very few survivors have been re-homed (8), and all will bear the psychological scars for a lifetime. The problems persist, but the outrage has long since died down… and, in many ways, this is the worst part of this already horrific tragedy. After the financial crash of 2008, the people of Britain were sold a narrative – neatly packaged by the Conservative Party before and after the 2010 general election. They told us that in order to lower the national debt, slash the deficit and bring the country back from the brink of economic ruin, it was necessary to implement austerity and make cuts across the board. It was austerity, and the heartless, profit-is-king ideology behind it, which contributed enormously to the Grenfell tragedy. Fires don’t burn like that without a lot of fuel. In Grenfell’s case, that combustible was decades of intentional neglect by the state and its private sector cronies. The Conservatives, and those who back them, have done an extremely good job at selling us the idea of austerity, coupled with a neoliberal economic philosophy is the solution. This process dates back decades (which dictates to councillors that stringent fire safety regulations place some ‘unnecessary burden’ on contractors). It has gotten to the point that this is seen as normal and has almost to the point where they have almost de-ideologized it. That is a huge reason – more than a drop in media coverage; more than the public’s short attention span – why the people of Britain have forgotten their outrage over the social murder that was Grenfell Tower. The most dangerous ideology is one which has successfully convinced its subjects that it isn’t an ideology. Neoliberalism has managed to place itself, in the minds of many Brits, as not a political system, not a way of thinking, not an ideology, but the common-sense, middle-of-the-road default option. It follows that anything in opposition to neoliberalism is risky, outdated or just plain stupid. It’s this idea that there is somehow no alternative to the current state of affairs, to austerity, to neoliberalism, to capitalism itself, that allows successive governments to get away with manmade atrocities like Grenfell Tower. For when there is no alternative, there is no meaningful way for people to question whether such a tragedy had to happen. The justified fury of the people – awoken by the horrific scenes of the Grenfell pyre playing out on our TV screens, on the front page of newspapers, on our phones has not meant lasting lessons for most Brits. The tower illuminating the London skyline as if a warning to us all is instead channelled into mere ‘tealight remembrance’: the sort where we all light candles spelling out words like ‘love’ and ‘hope’ and remind ourselves that it was a terrible yet unavoidable tragedy. This is just how the ruling class likes it, because tealights are not a threat. No one ever took down a government armed with tealights. 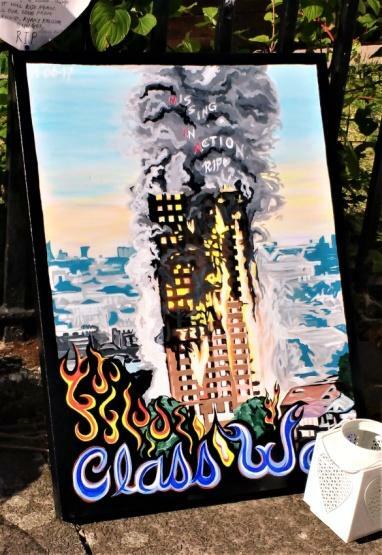 Grenfell Tower was one of those once-in-a-generation events which temporarily shakes the core of how masses of people view the political establishment. But in order to be more than just temporary reflections, there must be a realistic challenger to the current system. As long as neoliberalism and its mean brother, austerity, are packaged and sold to us as the only option, the people are kept docile and peaceable. But there is an alternative. The capitalist system, in Britain especially, may rest partly on the foundation of being presented as the only way, but this foundation seems shakier by the day. 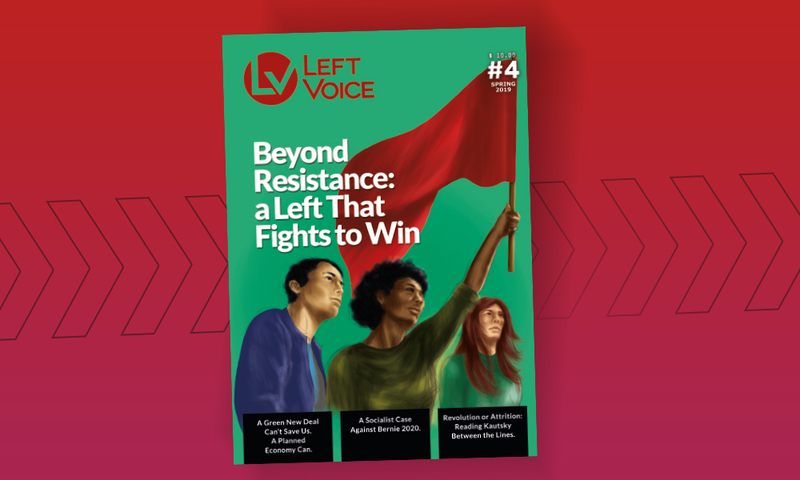 Dissatisfaction is growing, and ideas once decried as belonging to the ‘loony left’ are beginning, albeit just beginning, to return to the mainstream. 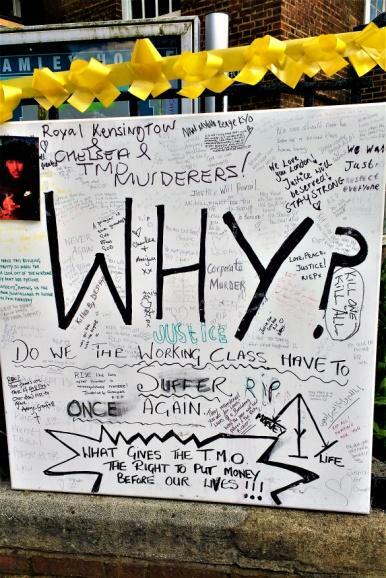 If one good thing has come out of the Grenfell tragedy, it is the growing awareness among the working class that, no matter what soundbites they spout, bourgeois politicians cannot be trusted with our welfare. Grenfell showed neoliberal capitalism’s lies for what they are and demonstrated that there has to be a better way of organizing society. 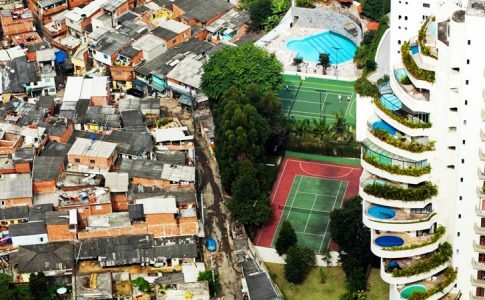 A system which allows those at the bottom to burn to death in a housing complex can claim no monopoly on righteousness, or morality, or ‘common sense’. Once people realize that en masse, the outrage will return.